Affiliating with England basketball unites clubs, players, coaches, officials and volunteers from the local to the national level, strengthening the sport of basketball in England. These pages contain information on the various club and individual memberships offered, how to register, the benefits available and insurance information. England Basketball’s online publication keeping members in touch with national and local basketball news, stories, events and offers. Chances to WIN great prizes. So far this season we have given away a Playstation 2 console, XBOX & Playstation games, Basketball DVD’s, NBA replica vests, Cinema Tickets, EBL/BBL Finals Tickets, and many more prizes! All members receive a 10 % discount on all merchandise from the NEW England Basketball Shop. Free membership to the Basketball Coaches Association (BCA) for qualified coaches. The BCA provides invaluable resources, information and communications about basketball coaching to all its members. National Car Rental offer England Basketball members access to the Affinity Leisure Program. Providing preferential rates on car and van hire in the UK and international car hire in over 80 countries worldwide. Exclusive rates on hotel rooms from the Inter-Continental Hotels Group. Offers from Holiday Inn, Crowne Plaza, and Holiday Inn Express change monthly and have previously included 25% off and 2 nights for the price of 1. Many clubs require public liability insurance hire venues and hold events. All clubs registered with England Basketball Public Liability Insurance to the sum of £5 million. Personal accident insurance for players. Includes cover for Dental costs and Hospitalisation benefit. For more details please see our insurance leaflet. 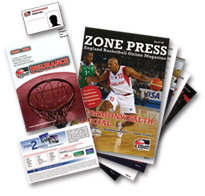 Personal insurance for qualified coaches and officials (Level 2 & above) All coaches and officials require this cover for all their basketball activities. Access to the Sport England / England Basketball Clubmark 100 development scheme. Access to England Basketball’s Coaching, Refereeing and Officiating courses. Our award schemes are designed to aid the development and training of basketball coaches and officials. Access to information on our facilities strategy, including the Indoor Basketball Initiative, facility specification, the Outdoor Basketball initiative and funding.